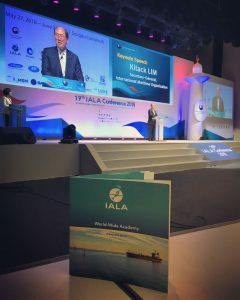 During the 19th IALA Conference in Incheon, Republic of Korea, a brochure was launched on the success story of the World-Wide Academy. It informs on the achievements of the Academy from 2012 till May 2018. This visual shows you how conducting technical missions in combination with training people lead to a significant decrease of States in Need.